Hey Personal Financial Freaks! 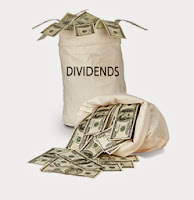 This is my last Dividend Income Summary of 2017. Holidays have been quite hectic and this is why I am posting this Income Summary a little late. It's been a good month though. As you can see on my Passive Income page, 12 companies chipped in for this month of December. Bought 100 shares of VSB. This is a Bond Index Fund by Vanguard. I have explained in the past why I like to have a little bond exposure. If the stock market goes up much during the year, I balance it out by buying more bonds. Same when it's the other way around (although I dont'recall much of that in a long time!). I now own 500 shares of VSB. These shares can be sold to buy more stocks. But they also provide me with a stable revenu of interests. It's more or less 20$+ per month, around 250$ per year. Which is fine for this fix revenue portion of my portfolio. Bought 2 shares of Facebook (FB). I explained on Twitter why I made that peculiar buy. Fact is, I bought a certificate (one framed share with his name) of Facebook to my nephew. It was roughly trading at 23$ at the time. Needless to say he's quite happy with it now that it's trading at 180$ US... He always teases me with this gift, so I decided to buy two. A little late, I know. But at least if the stock appreciates, I will be singing happily with my nephew instead of hearing him telling me I should have bought some for myself at the time. If you buy a stock as gift for friends of family, make sure you load up on it yourself. If it crashes, you can laugh it out together, same if it peaks. Heck, I might even load up some more in the future. One things is missing from my portfolio and it's a tech-stock. Will it be Facebook or another one? Will see. Any ideas? Let me know. What do you think of this last dividend summary of 2017?